Recent (2016-2017): Page currently under construction. (1) Douglas L. Wheeler, Ph.D., Prince Henry the Navigator Professor Emeritus of History, University of New Hampshire at Durham. 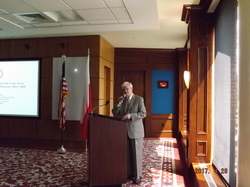 (2) Mieczyslaw Rokosz, Ph.D., Professor Emeritus, Institute of History, Jagiellonian University; Professor, Department of Philosophy, of the Jesuit University of Philosophy and Education; and 11th Lifetime President of the Kosciuszko Mound Committee (Komitet Kopca Kosciuszki), all institutional entities of which are located in Krakow, Poland. (3) Norman Kelker, Ph.D., retired research scientist in bacterial genetics at New York University's School of Medicine, biochemistry executive at Enzo Biochem, and independent historian. Dr. Kelker (whose photograph appears below on the left) has been a lifelong student of the history of the women's suffrage movedment in the United States. 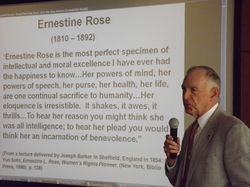 The subject of his 2016 Kosciuszko Confrence presentation had been: "Ernestine Rose: a Polish-born Leader in the American Women's Suffrage Movement." Ernestine Rose (1810-1892) had been born Ernestine Rose Potowsky in what had then been known as Congress Poland. Whereas she died and was buried in England, she had been one of the best-known leaders of the American movement for women's rights. 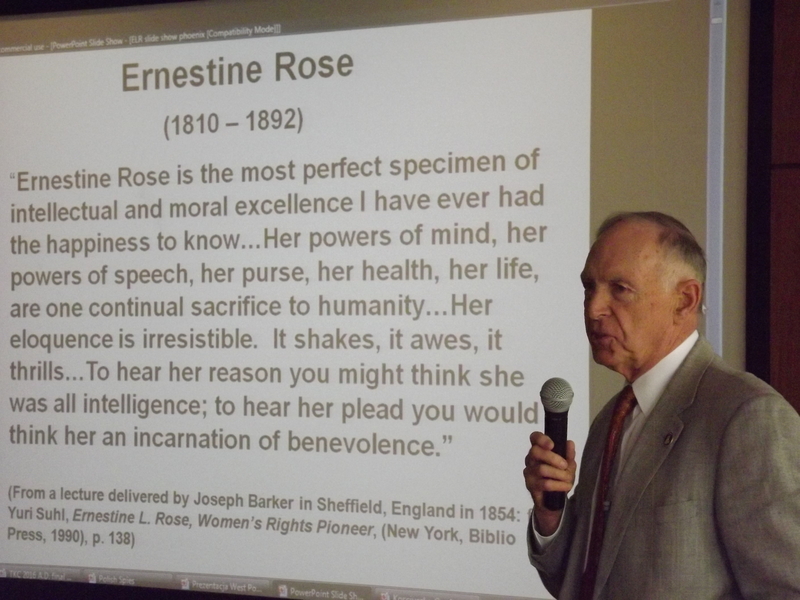 A gifted orator, free-thinker, and abolitionist as well, Ernestine Rose articulated her highly-reasoned thoughts very effectively, and importantly, to large audiences. 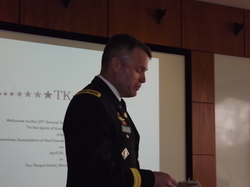 (4) Timothy E. Trainor, Ph.D., Brigadier General, United States Army, and Dean of the Academic Board of the United States Military Academy, West Point. Being addressed by Brigadier General and Dean Trainor (whose photograph appears on the right) for our 13th Conference had been a milestone experience and achievement for the Association, thanks to the initiative of Association Executive Vice President Stephen N. Olejasz who himself is a graduate of the United States Military Academy, a former Assistant Professor of History at West Point, and a retired Lieutenant Colonel. General Trainor commended the Association on the occasion of its 13th Kosciuszko Conference of 2016. 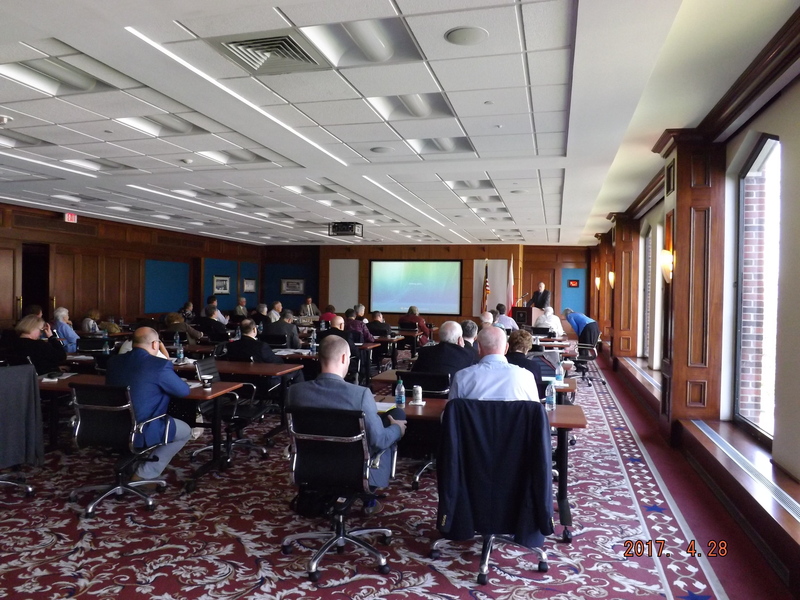 On their part, the Association's conferees had been very appreciative for his having taken the time from his busy schedule to address them. 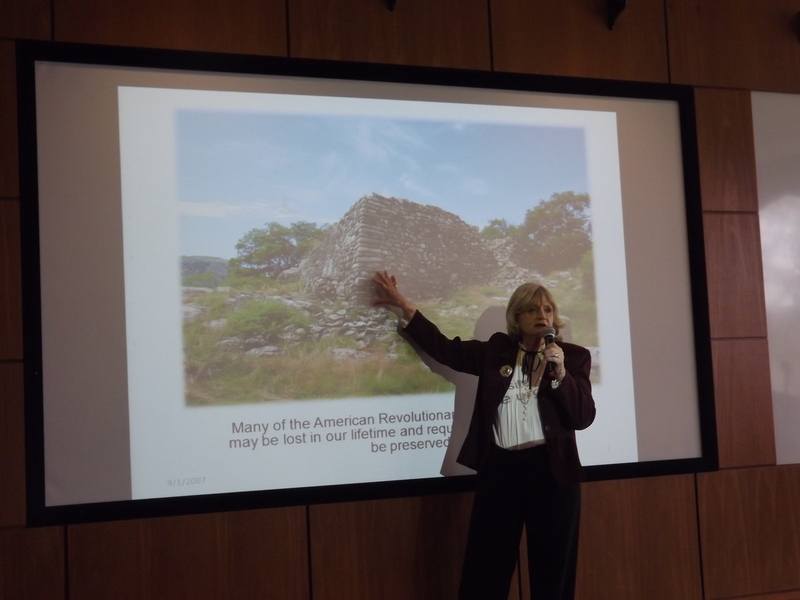 (5) Betsey Blakeslee, Ph.D., Project Manager, Revolutionary War Supply Trail Preservation at West Point; and President, Friends of the American Revolution at West Point. 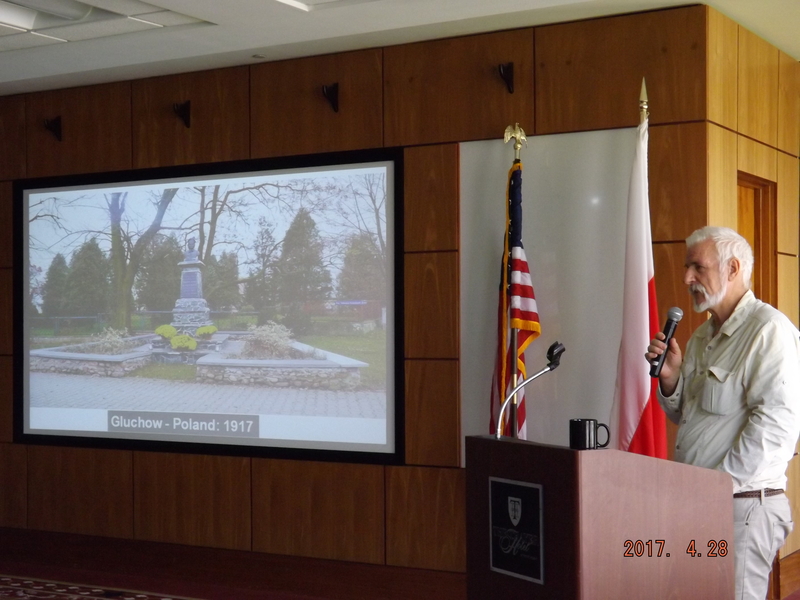 The title of Professor Blakeslee's well-illustrated presentation in 2016 had been: "Saving Kosciuszko's Fortifications at West Point." In addition to her project for preserving the archeological remains of Kosciuszko's array of fortifications which are not yet readily available for inspection by visitors to West Point, she has prevailed on the USMA authorities to beautify the immediate area around the Kosciuszko Monument of 1828 by re-sodding the lawn around it, eliminating weeds, and planting flowers and decorative shrubbery along the periphery of the base of the Monument. Similarly, she also works with the Kosciuszko Squadron of West Point, which is a Cadet extracurricular activity, to sustain upkeep of Kosciuszko's Garden in the spring. Both initiatives not only beautify but also lend dignity to the Monument and Garden sites. 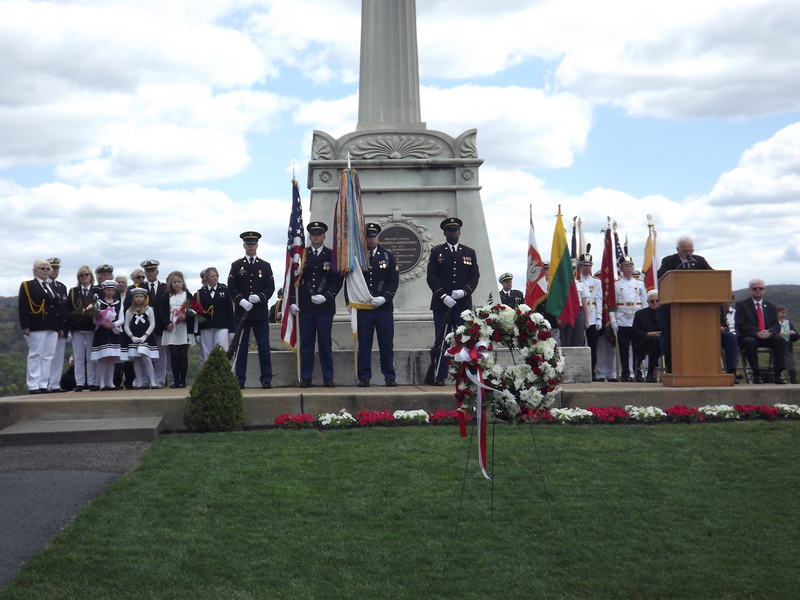 "Poland, which is proud of her Kosciuszko, [is] grateful to America for him. The value of his deeds and ideals holds for all of humanity and is suprenational. It has not become outdated and continues to be pertinent. It does credit not only to both of our and his countries, but to all [of] the human race. There are memorials to Kosciuszko at countless places around ther world. Here at West Point, where he left a tangible mark of his erstwhile activities, his spirit and memory live on. We are duty-bound to cultivate his memory. This is what the Academy is doing. The Academy has a fine and meaningful coat of arms, created with a Greek helmet, the helmet of Leonidas, with the motto, OFFICIUM-HONOR-PATRIA (DUTY-HONOR-COUNTRY). Leonidas, who defended his Hellenic native land and its culture against the Persians, is still an important symbol for us, despite the passage of two and a half thousand years. DUTY-HONOR-COUNTRY: we are aware of these three sacrosanct words. We have them in our hearts and bear witness to them in our lives. DUTY-HONOR-COUNTRY are inscribed in the life and deeds of Taduesz Kosciuszko." 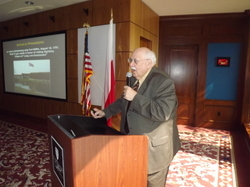 (7) James S. Pula, Ph.D., Professor of History, Purdue University Northwest, Indiana. 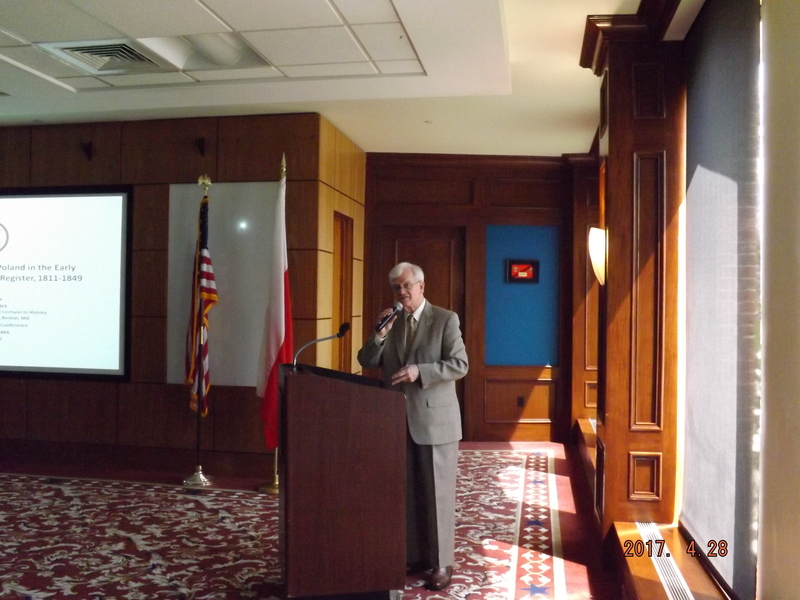 In 2017, Professor Pula's presentation, "Mr. Jefferson's Secret Envoy," related the little-known story of Kosciuszko's return to the United States for the last time when he landed in Philadelphia on August 18, 1797. Apart from re-visiting American friends with whom he had served in America's "Glorious Cause" for idependence from Great Britain, Kosciuszko never lost sight of the fact that so long as he lived, he must not relent in his efforts to influence European powers on behalf of Poland's restoration as a free, independent nation. At the time, Thomas Jefferson had been Vice President of the United States serving in that capacity from March 4, 1797 until April 4, 1801. As 1801 approached, Jefferson was concerned that relations between the United States and France, which at that time was known as Revolutionaty France, and former ally of the United States against Great Britain, had known better times. Indeed, America's pro-British Federalist government began preparations for a possible war against France. Jefferson and Kosciuszko agreed that an ultimate permanent breakdown of good relations between the United States and France should be avoided, at all costs, and resolved that Kosciuszko should return to Europe, traveling by passport as Thomas Kannenberg, to lobby France to maintain good relations with the United States. As an American historian of Polish descent specializing in the Civil War and Reconstruction, Professor Pula never ceases to amaze his audiences with the depth and breadth of his mastery of Poland's history during the life and times of Kosciuszko, and of the post-World War I origins of Poland's air force known as the "Kosciuszko Squadron" which fought against the Bolshevik Communists of Soviet Russia from 1919-1921 in a war which Poland won. Most importantly, Professor Pula is one ot only two living American biographers of Kosciuszko. 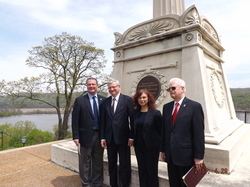 He is also a Vice President of the American Association of the Friends of Kosciuszko at West Point. 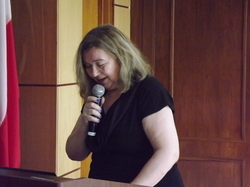 (8) Izabela Joanna (Bozek) Barry, Adjunct Professor, College of Staten Island, City University of New York, and Adult Specialist Librarian, Brooklyn Public Library, Greenpoint Branch. 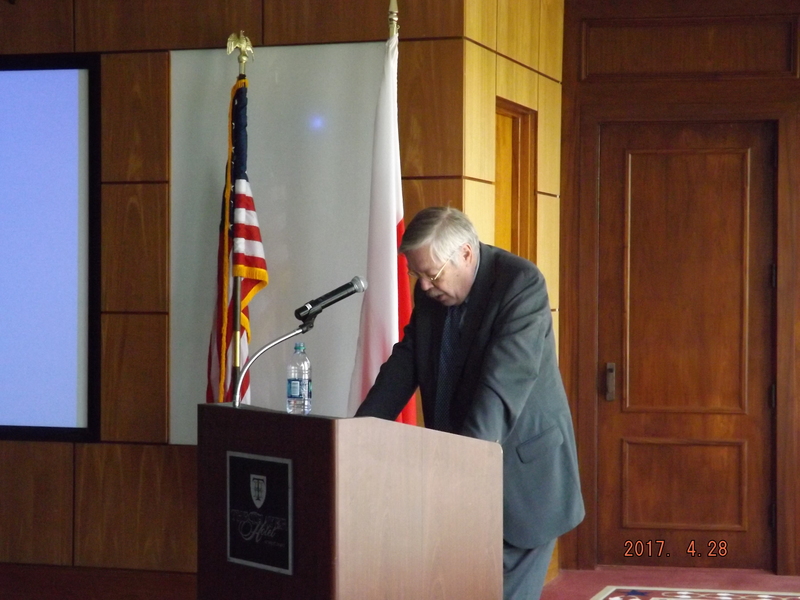 Journalist, author, and composer of three annotated bibliographies of Polish literature, Professor Bozek spoke at our 2017 Kosciuszko Conference on the subject: "Tadeusz Kosciuszko and Women of His Life" -- among the the best examples of whom had been Ludwika Sosnowska and Anna Zamoyska. Given the near-absence of women authors of Kosciuszko biographies and articles, Professor Barry offered a needed woman's perspective on Kosciuszko's life about a subject dear to his heart, that being, to marry and have a family of his own, which he was fated never to realize. 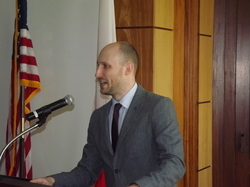 (9) Pawel Markiewicz, Ph.D. Candidate in History, of Jagiellonian University in Krakow, Poland, and an 'Etudia 4' Doctoral Fellow / Visiting Scholar of Harvard University's Ukrainian Research Institute. A native of Revere, Massachusetts, and holder of a bachelor's degree in history from the University of Massachusetts (Boston) and a master's degree in history from Harvard University, Pawel -- as the son of Polish immigrants, and thus fluent in Polish -- was at the time of our 2017 Kosciuszko Conference on the verge of defending his doctoral dissertation at Jagiellonian University, with the centerpiece of his doctoral studies being Volodymyr Kubiiovych (Wlodzimierz Kubijowicz in Polish), whose dates are 1900-1985. 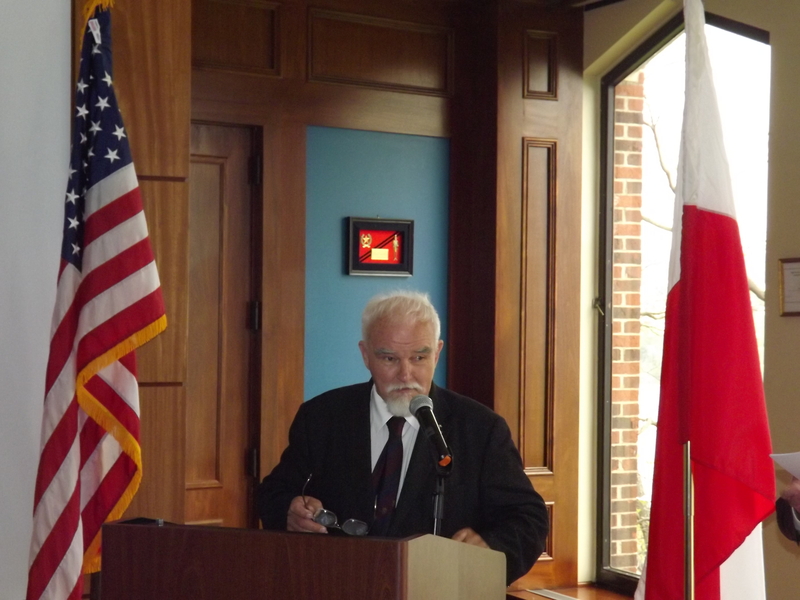 Appropriately, the title of his presentation had been "Volodymyr Kubiiovych: Population Displacement and Ethnic Cleansing in Nazi-Occupied Poland." 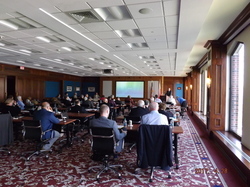 had been our Association's largest ever, with 46 in attendance. (11) Felix Molski, of Sefton, New South Wales, Australia, Polish Australian actiivist, educator, author, world-wide traveler documenting Polish heroism, and proponent for the wider memorialization of explorer-scientist-humanitarian Sir Paul Edward Strzelecki (1787-1873). 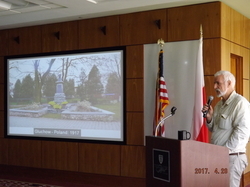 Mr. Molski presented photographic documentation of every monument raised to honor the memory of Kosciuszko world-wide: in Europe, the United States, and Australia, and from the perspective of his personally having traveled to each of the monuments about which he presented some 130 slides, the varying aspects of which he spoke at length and in detail. "Fostering Sympathy for Poland in the Early American Republic: Niles' Register, 1811-1849." The source of his heavily-documented paper had been his review of 745 articles about Poland that had been published in the Baltimore-based Niles' Register weekly newspaper. Of that number which he organized by decades: 1811-1819, 1820-1829, 1830-1839, and 1840-1849, better than 60% of all articles had concerned the 1830s which began with Poland's great November Uprising and struggle against Imperial Russia. 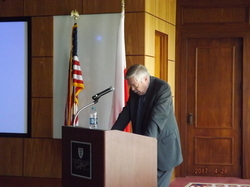 Virtually all of the articles were favorable to Poland and sympathetic with Poland's suffering to a surprising degree. Unfortunately, the Niles' Register -- a model of a free and independent early American newspaper -- went out of existence in 1849. Its founder and editor, Hezekiah Niles (1777-1839) is held to be the one of the foremost leaders of journalism in our Early American Republic. Hope and Struggle, 1817-2017," by which he masterfully connected the salient points of Poland's history beginning with Kosciuszko's death in 1817. 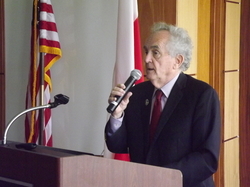 Professor Biskupski is one of the few American experts on both the macro and micro aspects of the history of Poland, in the case of the former, for example, being his book, The History of Poland (published in 2000), and in the case of the latter being Hollywood's War with Poland 1939-1945 (published in 2010), whose work attracts broad attention and respect. A master of the spoken word, he does not employ power-point technology in his peresentations. Whenever he speaks at our Association's conferences, he is an intellectually-stimulating crowd-pleaser in every respect. It had been fitting indeed that the final paragraph of his 2000 opus noted above ended with the words: "Two hundred years ago, when Tadeusz Kosciuszko fell gravely wounded, he was believed to have said, 'This is the end of Poland.' The quotation is apocryphal but not inaccurate. A century later, the novelist Joseph Conrad, a Pole, could not even speak of Poland, so convinced was he that its resurrection was impossible. At the beginning of the twenty-first century, Poland is prosperous and secure. It is too soon to take the measure of so much so fast. The return of Poland and the rapid movement of Europe toward unity recall Mickiewiczian predictions of Poland's resurrection which would herald a new day for Europe. This is, perhaps, national Romanticism; it is also, perhaps, the truth." Considering what was happening in Poland and across Europe in 2017, Professor Biskupski's closing words are worth pondering. He is also a Vice President of our Association. 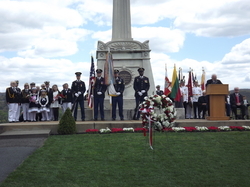 (14) For the first time ever in the history of the American Association of ther Friends of Kosciuszko at West Point, both Poland's Ambassador to the United Nations and Lithuania's Ambassador to the United Nations, accepted our invitation in 2017 to deliver keynote addresses for the annual ceremony at West Point's Kosciuszko Monument, the oldest raised to his memory in the United States. This specifically occurred in recognition of the fact that the United Nations had -- under the auspices of UNESCO -- declared 2017 to be the "Year of Kosciuszko" world-wide. In the photograph on the right, from left to right are retired U.S. Army Colonel Stephen N. Olejasz, the Executive Vice President of our Association, Boguslaw Winid, Poland's Ambassador to the United Nations, Raimunda Murmokaite, Lithuania's Ambassador to the United Nations, and Dean Anthony J. Bajdek, the President and Founder of the American Association of the Friends of Kosciuszko at West Point.